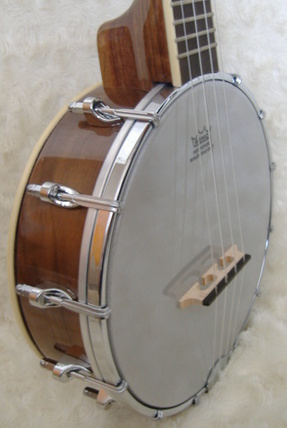 Tenor Banjo Ukulele Tune GCEA. 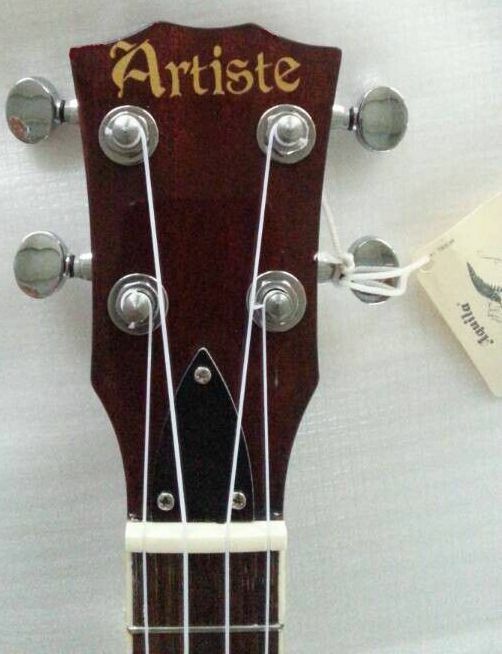 The Artiste Instruments Tenor scale Banjo ukulele / Banjolele for sale with Gig bag. And Importantly Set Up The Tenor Banjo Ukulele has Plenty of volume, punch, and projection. Comes with Aquila strings and includes Gig Bag. The longer tenor scale length allows for the intonation to be very accurately set, and gives an ease of playing that comes with the wider fret placement.